The private Canadian company Kilimanjaro Capital Ltd has signed an agreement with Forrest Gate Energy Inc., granting them a 20 % stake in the future oil and mineral development of the Southern Cameroons. Kilimanjaro Capital Ltd., a private Canadian company focusing on emerging nations in West Africa, is pleased to announce that on 29 January, 2013 it signed an agreement with Forest Gate Energy Inc. granting Forest Gate Energy a 20% stake in the future oil and mineral development of the Southern Cameroons. The region contains known petroleum reserves and significant untapped opportunities for gold, diamond, uranium, iron, bauxite, and manganese exploration. The Assignment Agreement held by Kilimanjaro Capital from the Government of Southern Cameroons provides for exclusive rights and covers an area of approximately 43,000 square kilometers including the Northern and Southern Provinces, the Bakassi Peninsula, and future offshore rights. 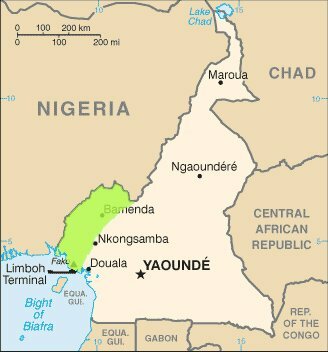 Southern Cameroons is the former United Nations Trust Territory of the British Southern Cameroons which is seeking to secede from the predominately French speaking Republic of the Cameroon. Forest Gate Energy Inc. is a publicly-listed natural resource exploration and development company based in Calgary, Canada. The Forest Gate Energy team has broad experience in hydrocarbon and mining development. The equity based agreement with Kilimanjaro Capital specifies Forest Gate Energy's 20% interest may be converted to a specific property and that the two companies will provide mutual technical assistance to each other in developing the Southern Cameroons. Michael Judson, Forest Gate Energy CEO, will join the Kilimanjaro Capital Board of Directors. Zulfikar Rashid, Chief Executive of Kilimanjaro Capital said: "Forest Gate Energy and its CEO Michael Judson's association with Kilimanjaro Capital is a welcome development. Michael Judson has a proven track record of the ability to see value where others cannot and to exploit exceptional opportunities. The mining and hydrocarbon experience of Forest Gate Energy will immediately boost Kilimanjaro's asset acquisition and development stance in West Africa." Kilimanjaro Capital also announced the previous appointment of Southern Cameroonian independence advocate Ebenezer Akwanga to its Advisory Board.